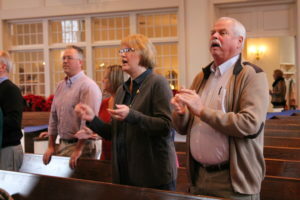 The goal of worship is to “glorify God and enjoy Him forever.” Worship involves the recognition of God’s worth and includes offering God honor, praise, and adoration. The focus of worship is on God-with an emphasis on the relationship of participants, individually and collectively, with God. During our times of worship, we confess our need for Christ, express worship to God with our hearts and lips, receive instruction from the scriptures, give our material possessions to God, and celebrate the ordinances of the Lord’s Supper* and believer’s baptism. We hope you will join us this week! There is parking directly surrounding the church building. 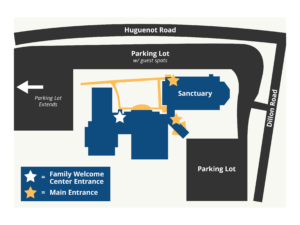 Handicap accessible parking, reserved parking for parents of toddlers and infants, and guest parking are available in the Huguenot Road lot in front of the church. A covered drive entrance is available in the parking lot off of Dillon and Ashburn Roads. 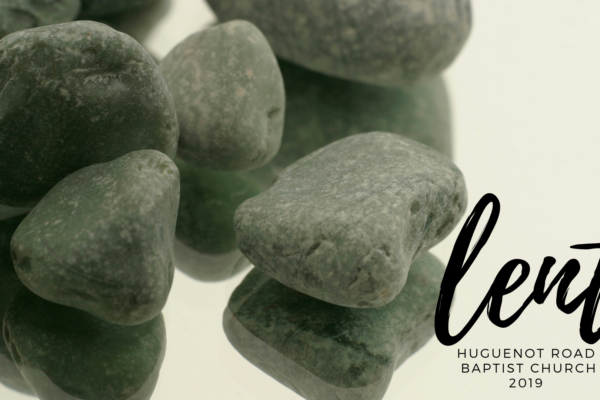 In Jesus’ journey to His suffering and sacrifice on the cross, He prayed several prayers, as recorded in the book of Luke. Our sermon, Prayers of the Passion Week, #PalmSunday, looks at His prayers together and prepares our hearts for #HolyWeek. 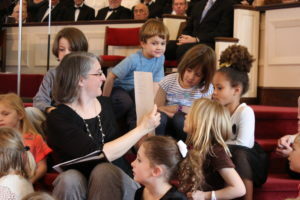 When you arrive at Huguenot Road Baptist Church, you will find the large commons building in the center connects our educational space with our gymnasium and sanctuary. A welcome desk is located between the sanctuary and the commons, where you can learn about how to connect with our church. Our Greeters at each door will help guide you to either a Bible study class or to worship, or invite you to mingle and enjoy a cup of coffee. Childcare is available during both worship services for babies through preschoolers. Please sign in at the Family Welcome Center located at the main entrance facing Huguenot Road. We offer a safe environment with screened volunteers and security tags for children and workers. The Huguenot Road family is made up of people of all ages, all with their own styles. Many people choose a business casual, some dress to the nines, while others come in jeans. 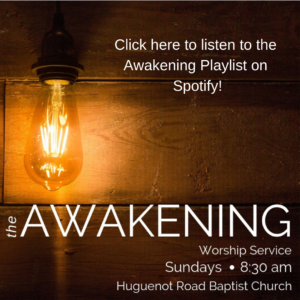 We want you to come as you are to freely worship God. *We use gluten-free bread as we celebrate the Lord’s Supper.